The Five Star 5 – Why I Am Loving Toastmasters! | Sell, Lead, Succeed! ← What Are You Prepared To Give Up – Right Now? Posted on January 31, 2013, in Five Star 5 and tagged Fear of Public Speaking, Personal Development, Presentations, Public Speaking, SOS Toastmasters, Speaking, St. Albert, Success, Toastmasters. Bookmark the permalink. 17 Comments. Hey Tim. I like reasons 1-3-5. I never saw you as someone who felt he needed Toastmasters. After the last few workshops, I feel I need it now. Hey thanks for stopping by Bob! 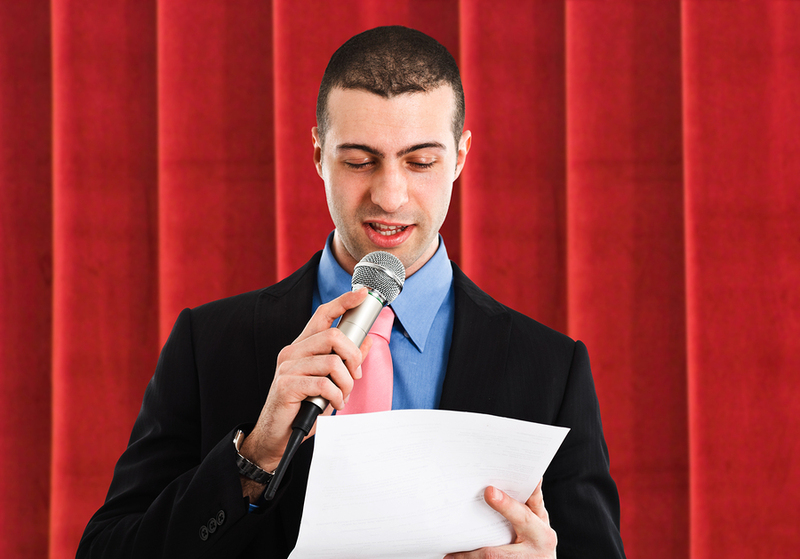 The best part of Toastmasters is it can help anyone, no matter how well versed they are in public speaking. There is so much more to a meeting than just the planned speeches, I have found it very helpful in many ways. Toastmasters is a great opportunity to improve, whether you are terrified or public speaking or you love it and want to be better at it. The encouragement and positive environment will help anyone be successful. Proud to be a fellow Toastmaster, Tim! Congrats Lily! Yeah it is certainly a great group. I am glad I finally got involved. Success cannot be far away when you join Toastmasters. Have a great weekend and thanks for stopping by..
Tim, I’ve been a Toastmaster member for more than 2 years and agree 100%. I’m actually surprised more young adults aren’t involved. Great to see you plug the organization to your readership! Thanks Kevin! Yeah I am glad you are involved as well. What a fantastic organization. Thanks for stopping by and have a great weekend..
We have a program called “Toastminers” out here for kids in grades1-3, run on a similar concept. I can’t wait to get the kids started in it. Their grandpa has been involved in Toastmasters for about 5 years now. So beneficial, whatever your age! Susan that sounds awesome! Let me know how it goes for the kids. Very cool! Glad grandpa has joined as well really just a fantastic group. Have a great weekend.. Timely reminder … spent a year with TM and then stopped. Its time to get back. TM is a great place to learn and display leadership – in a non – threatening environment. Jayadev! I could not agree more. Glad you are going to check out TM again. Hi Tim, thanks for the information that you gave me concerning your blog, really positive and encouraging messages! I am so glad that I decided to, once again, become a Toastmaster at such a pivotal point in my life. Hi Lisa! Thanks for taking the time to stop by my blog! Glad you enjoyed it. We are very excited to have you joining our Toastmasters group. We have had many new members join over the past few weeks and it is a very exciting time for us! Looking forward to your contributions going forward! Thank you, this is a topic which is close to my heart. Hi Dave! Thanks for taking the time to comment. Please send me an email to TimMushey@gmail.com and we can discuss the potential to chat further. Have a great Friday..